I watched my Grandmother’s face when she realized that I hadn’t handed her a hard boiled egg but rather a cake baked inside a real egg shell. Her eyes were filled with wonder and I could envision what she must have looked like as a tyke the very first time she saw a red balloon float across the sky or the the trunk of a giant elephant spewing a stream of water. “Crack it on the table,” I told her. Eggs were cracked, cupcakes were eaten, and I was perceived as a cupcake Houdini. Update 3/19/2012: For the basic instructions on these Easter cupcakes, keep reading. To see another example of them with dyed eggs and cream cheese “yolk” filling, see my latest version of these Easter cupcakes. I modeled my cupcakes in egg shells after Nicky’s egg shell cupcakes from Delicious Days. My basic technique is similar to hers. However, I used a different cake recipe. I went for a lemon and sour cream cake – light, Springy and perfect for Easter morning. Rinse the insides of the eggs out thoroughly over the sink. Then, immerse them in saltwater for thirty minutes. At first, I couldn’t get them to sink. I realize that this is probably obvious to most of you, but in case anyone else is science-challenged, I thought I would share Jonathan‘s tip that the eggs need to be filled with the saltwater in order to sink. Load the batter into a piping bag fitted with a large round tip. Make sure that the tip can fit all of the way inside of the egg hole. If it can’t, expand the hole a little bit at a time until it fits. Fill your eggs about 3/4 full with batter. This is the tricky part. If you underfill the eggs, you won’t have a complete cake egg inside when you crack them after baking. 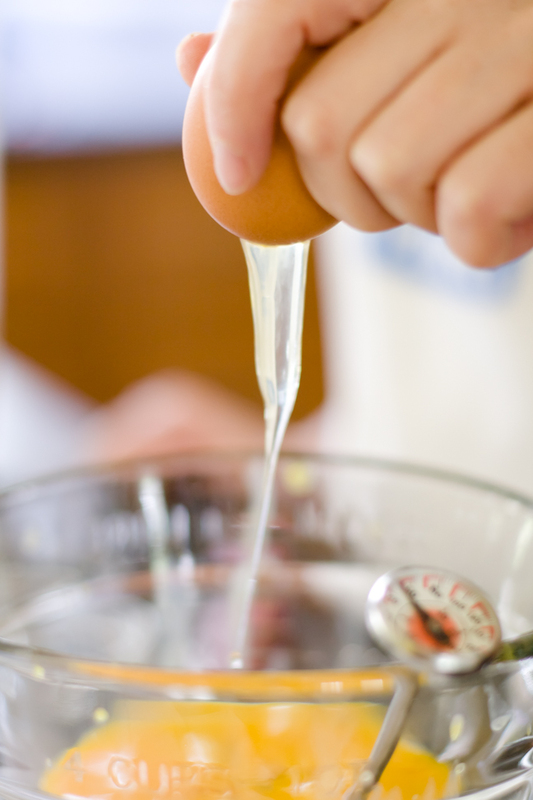 If you overfill the eggs, cake will overflow out of the egg during baking. If the batter overfills too much, you can turn your eggs into Easter egg cupcake people (the cupcake on top is the hair). Special thanks to Herb’n Maid for posting a suggestion to make these cupcake on my Facebook wall. I always love to hear your ideas! Wow. I cannot wait to try these out and surprise my family and friends! Thank you so much for sharing this! Do you reckon I could prepare the egg shells a few days in advance? I mean, they’re cleaned so I guess it shouldn’t be a problem..? One should be able to use a filling tip and put some buttercream or something in the middle too, right? That would make them sheer perfection! 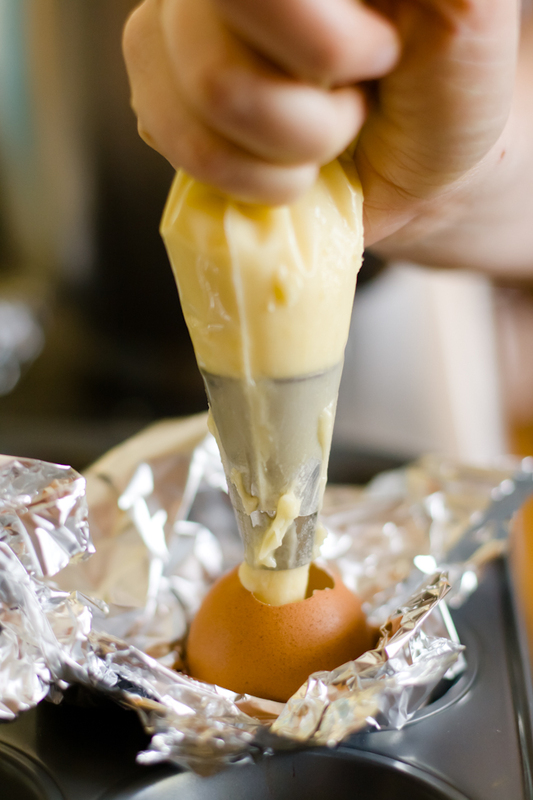 Use an injector to put lemon curd in the center like an “egg yolk”. Oh my gosh, this is incredible! I will need to try it. These are awesome! I have to admit, your title scared me a little bit but these are so stinking cool! I’m definitely going to have to try these! so i told my room mate about these because i think these sound awesome but she doesn’t want me to make them because she doesn’t like the membrane you get when you hardboil eggs that sticks to the shell and the eggs. i would think that membrane wouldn’t be an issue after washing the egg shell out…i was wondering…did you come into contact with the membrane when peeling these eggs? Korlin – Yes! I made my shells a few days in advance, so I know it works. MommaBay – It would definitely work, but it would be a bit messy when you cracked it. Ashley – I cleaned the whole thing out before baking so there was no membrane to deal with. AH-MAZING! My mind has seriously been blown! I must do this! I wonder how dye would hold up if you dyed the eggs before cooking. That would really be the cherry on top! Use food color pens to draw designs on exterior (after baking and cooling) for truly decorated easter eggs. What a clever idea!! Can’t wait to try it out and see what my family thinks. Thank you. THIS IS SO COOL. BEST EASTER RECIPE EVER MADE, THANKS! So cool! I’ve never seen anything like this – thanks for sharing! What a great idea! I think I might use the leftover egg yolks to make a lemon curd, and then use a filling tip to put the lemon curd inside a white cake. That way, when when you break apart the cake, it will look like a real egg (white cake on the outside, with yellow “yolk” on the inside)! I can’t wait to serve these cupcakes up on Easter, wish me luck. does the shell fall easily off the cake? This is such a cool idea! but if I end up eating shell I am going to be sadface. BlogByTina – Don’t worry. The shell comes off easily. No shells in the cake. MsChief – Awesome! Thanks for sharing! What a creative idea Stef. Now that’s thinking outside of the box. I can’t wait to try these this week. Thanks for sharing! OK I love this idea. I’m going to try this but I think I’ll see if i can stuff some lemon curd into the center so it becomes a filled egg. It may cause it to explode but I’m going to try it and see. Then instead of icing on the outside it will be filled inside. I love fun projects like this. i wonder if a little spray of nonstick oil into the egg would help with sticking… not that i’ve heard a confirmation that they stick. Why do you need to soak the eggs in salt water? Dye eggs AFTER the salt water step… Dip them in dye bath with the hole end kept downward and the interior wont get dye inside.. This is an absolutely genius idea! What an awesome presentation and surprise for everyone! What a wonderful idea…! Can’t find the words to say … I love it ! Instead of dying the shell, I divided the batter into different bags and colored it. I alternated colors when filling the eggs! They were so cute, I just wish I would ave taken a picture! What about high altitude? would it just be the same… less powder and soda, more flour? Or do i not need to do that at all since they are small… thx! They are in the oven baking as I type ….. I way overfilled them, that’s for sure. 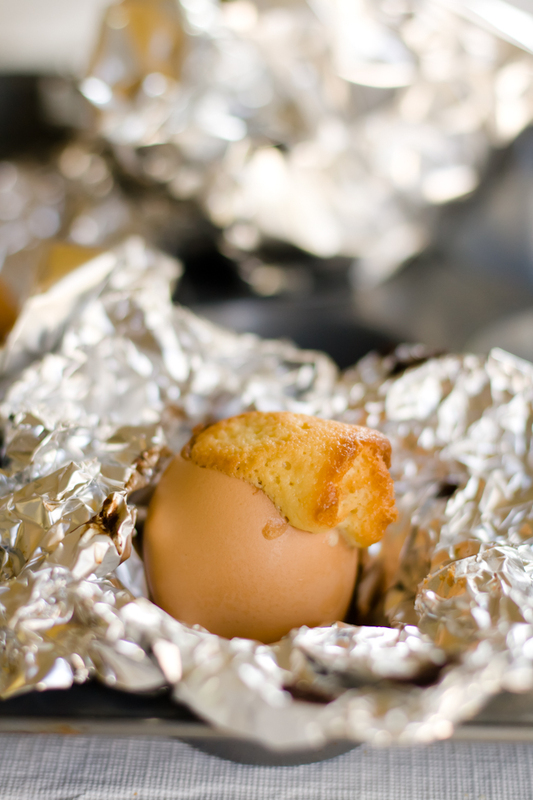 I put the eggs in a mini-muffin tin, did not need any foil to keep them upright. I want to try this for a friend’s birthday. However, she is not a fan of cake. But she does like brownies. Will this work for brownies? I just made these and had exactly 9 eggs filledw ith the cake amount and it looked about 3/4 full but it overflowed so much it is now all over the bottom of my oven. about 1 cup spilled over. id say no more than 1/2 full. This is the most awesome idea ever! Maybe the shells can be dyed after the salt water bath? 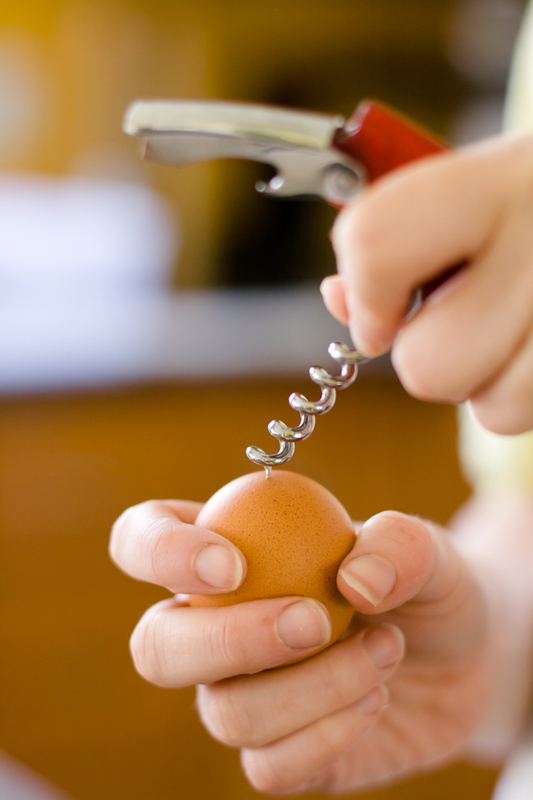 Then use a turkey baster to swish a little saltwater around inside the egg to remove any “egg-cess” color. I made these yesterday, and although I didn’t think the cake recipe had a great flavour, the idea is brilliant and they look great – and they certainly wow people! I think filling them 1/2 full would probably work, as a lot spilled out after filling them 3/4 full. Wow, wow, wow!!! Your blog looks fabulous!!! (I haven’t been here in way too long) Will remedy when I return from Idaho. What a curious and inspiring post. I only wish I would have stopped in sooner. The kids would have LOVED this. Thank you so much for sharing your tips and hints and this unique recipe. Wishing you and yours a wonderful Easter!!! shoot.. I can’t believe I didn’t see this earlier!! I’m definitely doing this next Easter, since I don’t want to give chocolate to my -then- 2 yo child. I think I’ll start practising now…. OH my goodness!!!!!! I loved this idea so much that I tried it at home and it worked out great!!!!! It turned out to be the best easter treat we’ve ever had. I posted my pictures of it on my blog. THanks so much for the great idea Cupcake Project!!! I cant seem to get it right, everytime I take it out of the oven, it always comes out cracked. Any tips you can suggest to make it come out perfect just like yours? Novel idea…however I wouldn’t eat them simply because I have an aversion to egg shells. I also know I’m not alone in this. I’d probably just smile, give the old “I appreciate your effort o’ great cupcake Houdini” nod, then say to you, “I think I’ll just eat it later…depositing your egg-cake into the nearest trash bin upon my exit. Grace – I think they would be fantastic with brownies! Fajas – I’m not sure why your eggs would be cracking. Maybe someone else had that problem and can help. i just stumbled this! cute idea. i do have a suggestion for you. my easter tradition is to make pysanky eggs. [ukrainian eggs]. they sell a kit to empty the shell. it comes with a pump, and a drill. [much easier than a cork screw and a thermometer. 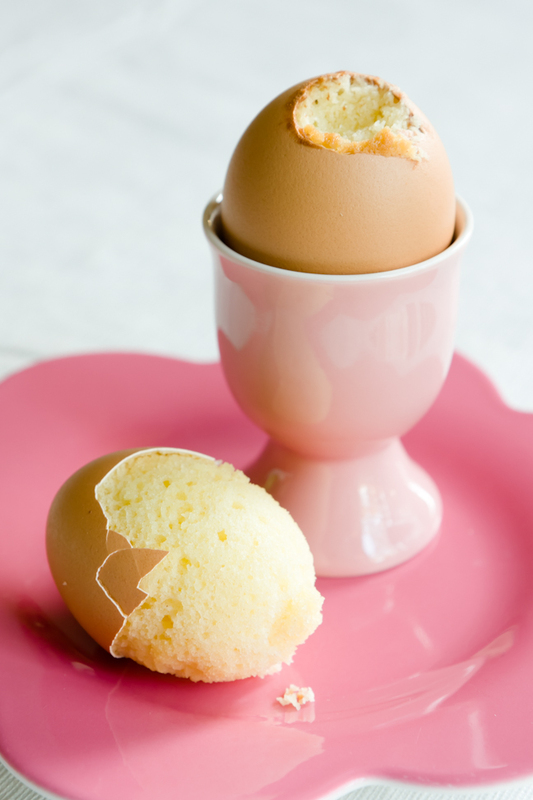 Just stumbled your page and at first glance I though I wouldn’t want to make these but then I though how excited the kids would be to peel the egg shells and eat the little egg cup cake, I am just going to have to give these a try now! A pretty funrecipe. I am impressed with the beautiful results, congratulations. I put forward on my French blog with a link to this article. 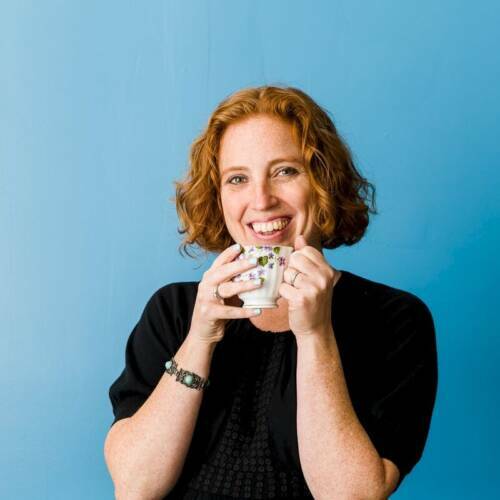 Miss Cuisine – Thanks for the shout out! I love this!! How creative. My husband just tried this and we forgot to soak them in saltwater so I wonder if that is why the mix didn’t go to the bottom of the egg shell? Most of the batter overflowed out. We also had the hole on the top – I wonder if that made a difference? -When the people pick up the eggs, won’t they see the open side? -How do you close the open side (the hole with the cake)? I love your idea very much and thank you for sharing it. Pls. respond soonest so I can start trying it…so excited! What an awesome idea! I am DEFINETLY trying this one out. However, I wanted to ask … Is it possible to use lemon juice rather than extract in the cupcake batter?? Did you try it with juice? You would need to use much more lemon juice than extract to give it a lemon flavor. If you want a lemon flavor and don’t want to use extract, I would use lemon rind instead. Isn’t this a wonderful idea! I saw it about a month ago on Pinterest with brownies, and immediately started collecting eggshells. It is certainly much more time consuming than normal cupcakes, but once or twice it’s worth the effort. I especially love how the eggshells preserve the freshness of the cake. And also, it takes much longer to eat it with all the pealing, so it’s good for the diet :-). love this idea, and such a fun thing to do with the grand children! i AM BLOWN AWAY ! i did it at home and worked ! everyone was amazed lool thanks for another great recipe! Could you use the angel food cupcakes recipe instead. Anon – You could use any recipe you like! I think I’m going to make these for April Fool’s Day! But instead of dying them, I’m going to use my Food Writer markers on them! This sounds like a great idea! I was wondering if anyone has tried it with a boxed cake mix? Do you think it would work the same? 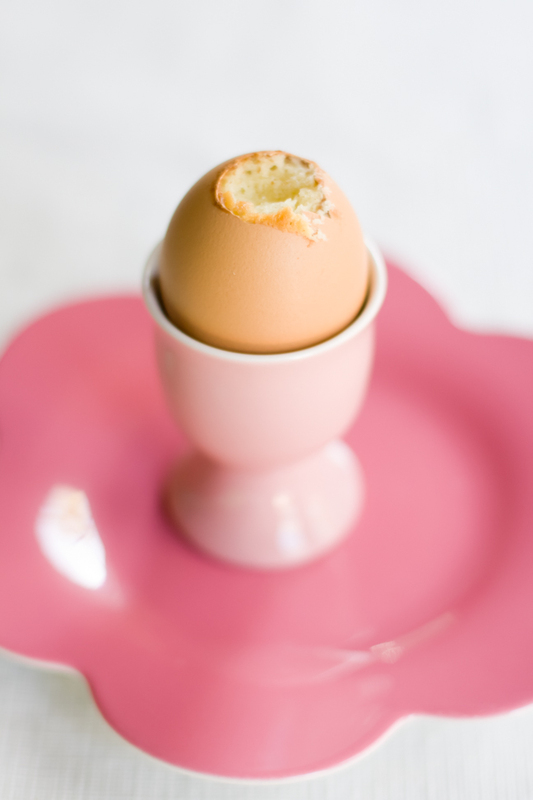 For Easter you could dye white egg shells different colors before filling them with batter. I don’t know how the baking stage may affect the colors though. Have just tried this and it worked a treat! 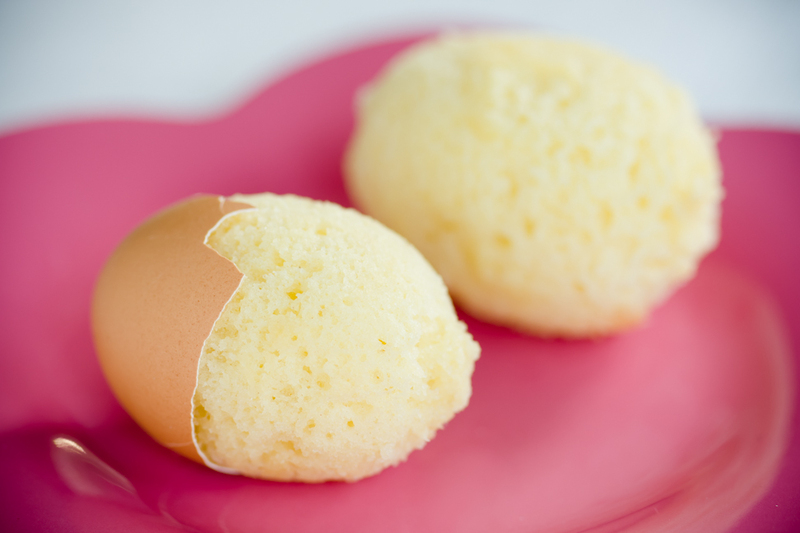 Have you ever decorated the egg sponge with icing as I might give it a go? Now that is clever!! So cute. I just finished making bird’s nest cupcakes for Easter. You can check mine out here: http://www.paintsandpans.com/2012/03/02/bird-nest-cupcakes/. Discovered this from Pinterest, and I’m so thankful – I made them tonite with rainbow batter, and I am overjoyed at how they turned out – made all the work worth it. For the hole, we used a medical scalpel to score the circle, then screwed it in and peeled it back slowly. We did 20 eggs (2 were sacrificed to the floor), and wow. Just wow. Thank you so much. I can’t wait to give them to my parents and nieces. What an interesting idea! Something very new and creative. Definitely will try it someday! hi! i love your idea!!! but can i use your “ultimate vanilla cupcake” recipe for this? i noticed that there is less butter than in this recipe.. would that affect the final product (maybe it wont rise as good) and thus maybe the shape of the easter egg is not so good? what do you recommend? You can actually use any cupcake recipe that you like. The Ultimate Vanilla is a great choice! Thank you! I will try it out soon and let you know how it turns out! it turned out wonderful!!!! everyone loved it!! i also filled it with your vanilla bean buttercream and people just wanted more!! hai i am venky may i know ur name plz…..
How in the world do people come up with these creative cupcake ideas? These are absolutely fabulous! How long do the cupcakes stay fresh in the shell? I’m doing a lot of Easter cooking and baking and am wondering how many days in advance I can prepare them. Could I freeze them after they are baked and cooled? I can’t get over how creative this is!! Wow!! Painting the eggs afterward might work better than dipping the shells and then baking them – I’m guessing the colors would brown slightly in the oven. You can use any chocolate cake recipe. And, sure, you could put a mini reese egg in there. I’m not sure how small they are, but as long as they fit in the hole, there is no reason not to try it. The nice thing about eggs is that they can be frozen once out of the shell. I would put like one or 2 into a zip lock bag, remove the air and freeze until needed like any normal egg. I used to do this with Jello beofre they made the molds. I’d suggest making the hole in the bottom of the egg and baking them upside down. That way you have the kinda round, pointy top and if the baked batter doesn”t quite fill the whole egg it’s not as big a deal. Interesting idea. I’ll have to try that next time. can we use another type of batter? Sure! They will be fine. Have a great holiday! I tried this recipe with the confetti cake mix(boxed)and it worked great.It was really neat and the egg shell came off so easy.I just did a practice run to see if i could actually do it.I’m hoping to do some this week and thought i’d try adding some melted chocolate to them.Thanks for a terrific recipe.Will be doing this every year.I’m really excited. I made these last night, I had such a nice time (when I wasn’t cursing at my terrible pastry bag). After reading about the tricky business of peeling the shell from the cupcake I decided to melt some butter and pour it into the eggshell to swizzle around and pour out as well as wipe it around the outside. While I haven’t yet peeled these, I hope it is effective. It was easier to scrape off the baked-batter overflow from these than my untouched control group. Thanks for the idea! Thanks anonymous! Appreciate the tip & have a great Easter weekend! I’m making mini cupcakes with this recipe. These are (as indicated in the directions) VERY time-sensitive. If making mini cupcakes, I’d recommend baking 7-8 mins and checking them every 1 minute until they’re done. They won’t look done, so doing a toothpick test is a must. Worth the time and effort! Thanks for making me look good, Stef! Oh no! I meant the above comment for the vanilla cupcakes! Please remove if possible. If not… did you know that there’s an awesome recipe for vanilla cupcakes on this site? If anyone has any trouble getting the eggs out of the shell, here’s a trick we learned when I was a kid from a baker. Make the hole at the bottom as directed above. Then take a pin and poke a small hole at the top. 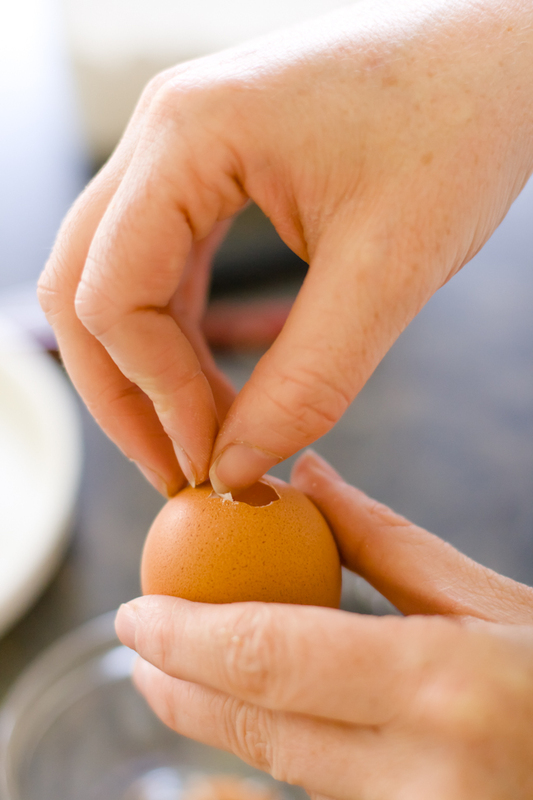 Turn the egg with the large hole down and blow into the top hole. The egg will pop right out the bottom! what about coloring the egg shells before you let out the egg so they are prettier? My egg shells are soaking right now. I tried something new though. I did NOT ‘poke’ my yolk and white together. Instead i very patiently stood over my bowls and drained my whites and then my yolks, into seperate bowls. Yes, it can be done. I then put two whites into a small ziplock bag for freezing and did the same for the yolks. I now have whites for meringues and yolks for custard, already seperated (i have never frozen raw eggs before, so i’m keeping my fingers crossed). I hope to try your lady finger recipe soon too! Sorry, I forgot to tell you that i plan to cut the eggs in half, scoop out some of the ‘center’ and pipe icing into the hollow. Hopefully they will look like ‘deviled (cupcake) eggs’! I spotted these on Pinterest, and made them for an Easter treat. I used food colouring markers to decorate the baked shells, and served them in cereal nests left over from the treats my kindergartener and I made for his classmates. Cute and fun and of course tasty too! Wow, this is a very fantastic idea! I never thought of this before. Wow, how neat is this!!!!! I want to try these for next sunday’s breakfast. Can’t wait to see my love’s face after crecking them! This is such a creative and unique idea! Why isn’t it Easter now?! Maravilha! repassei no meu blog e no fim de semana vou tentar fazer. Gostei de seu blog e estou seguindo. Sucesso! Great idea!! Thank you for this! It’s a cute idea, but I would constantly worry about salmonella poisoning. 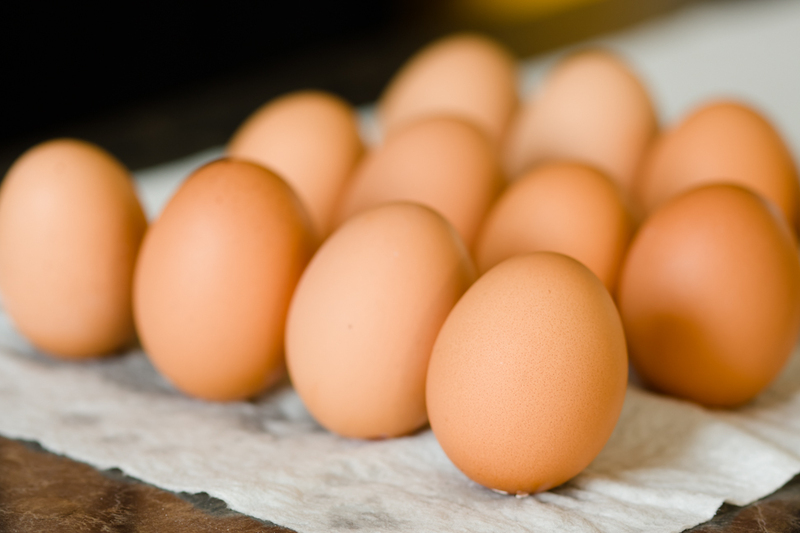 Because as most people should know….the salmonella bacteria passes through the egg shell first and then slowly makes it way into the rest of the egg. 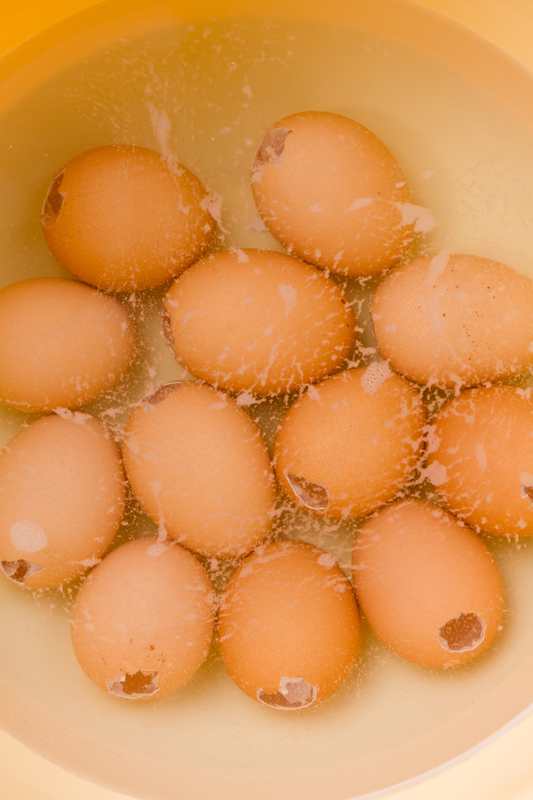 The shells carry more of said bacteria than the inside yolk and whites. So, please….be very careful…! That is a terrific idea. Can you imagine hiding egg cakes with frosting yolks around a table? does this recipe work for white eggs? It may seem obvious to you, but it’s just a question. This is a great idea. I made “humpty dumpty” for my son’s birthday and it turned out great. I made these. It worked! I tried coloring them with liquid food color but I can’t seem to get the color to the egg shells. Hi, I made these today and when they had cooled I filled them with Lemon Curd to make the egg yolk look like a soft boiled egg. I made these yesterday and they were so good, I can’t wait to share with my friends and family! Thank you for this nice idea. I am so excited to try these. But one question — for the cleaning, do you soak the shells in warm salt water or cold salt water? Does it matter? Thanks a bunch! Easter will be a huge hit with your fantastically funtastic recipes!!!!!! What an amazing idea! Can’t wait to try it! Oh, my. I’m definitely going make this for my cousins! (We’re always competing) I’m 13, btw. Does it stick? And as for the saltwater part, is it necessary? What does it do? Can I use regular water instead? You said you cleaned the whole egg out so the membrane was not an issue. How did you get it out? I tried to peel it but it tore and part of the membrane is in the bottom of the empty shell. I just made these, used cake recipe and all! I way overfilled and made quite a mess, but after cleaning up they are awesome! I even dyed the shells! Only thing I did differently was put the holes on the bottom of egg, so I could hide the hole in carton or egg holder. whoah this blog is magnificent i luke reading your articles. Keep up the great work! You know, lots of persons are searching around for this information, you can heop them greatly. I am going to make these but I will be removing the egg shell after baking then when they have cooled down I will be coating the cake eggs with melted chocolate. I was also thinking of colouring some of the cake mix a orangey yolk colour and putting a blob in the centre of the normal coloured cake mix so it looks like an egg yolk. I didn’t, but it’s a great idea. Mine did stick a little. Can you use a chocolate cake mix? I’m trying to do a Easter cake with golden eggs but I want it to be chocolate? Would that work? Can peel off egg shell then decorate the egg shape cake with frosting or decorative candy ? Can’t wait to make these for April Fool’s day for my teenage daughters. They will “crack” up. Such a cute idea. Thanks. Nice Idea! will try it for sure.